When the time comes to meet with your tax preparation agent, being prepared can make the process efficient, fast, and anxiety-free. It all starts with bringing in the necessary documents. The professional tax services team at Steven M. Vogt, CPA, in Chandler, AZ, helps area clients with their unique financial needs. They explain what you should have with you at your first meeting and what to expect. Having the appropriate documents will help your tax preparation specialist get a good overview of your financial situation. At your first meeting, bring your most recent tax returns, a government-issued ID, W-2s, 1099s, and any other earning statements. The previous returns are especially important because they provide details that may identify any overlooked benefits and deductions. If you are a homeowner, bring documents related to the mortgage or home equity loan interest, property tax payments, and information on the purchase or sale of real estate. Your tax services specialist will also want to see receipts or expenses incurred during the previous year. These include charitable donations, IRA contribution statements, computer equipment purchases, and medical bills that were not paid by your insurance. After submitting all your documents, your tax services professional will prepare your income tax return. Based on what you provided, they’ll identify which deductions and credits you may be eligible for. They may also ask questions about certain expenses to determine your best interests, try to reduce or eliminate any taxes owed, and work to get you an attractive refund. Meeting with your tax services professional for the first time doesn’t have to be filled with fear and uncertainty. With a bit of preparation, you can ensure a quick and painless process. Let the team at Steven M. Vogt, CPA, earn your business and loyalty with their impeccable expertise. To schedule an appointment, call (480) 732-9898 today. Visit the website to learn more about the firm’s range of services. Also be sure to like our Facebook page! 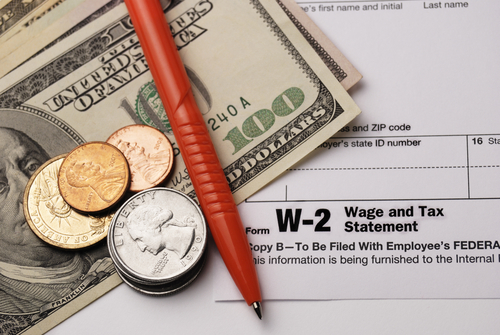 What Should I Know If I’m Tax Filing for the First Time? Do Business Owners Need Both Bookkeeping Services & CPAs?